The most well-known method to control contamination in water is through the use of microfiltration, or employment of absolute rated filter cartridges fine enough to remove cyst-sized particles. Surface waters are most at risk because animals live nearby, contributing to the cyst population found in water. Accordingly, water treatment rules have been established to regulate drinking water taken from reservoirs, lakes, rivers, ponds and streams. 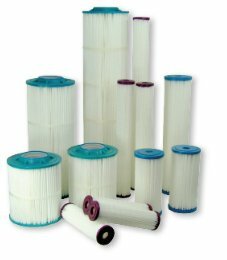 Poly-Pleat™ cartridges are ideal for use as final filters for municipal water filtration without pre-filtration. In high turbidity water, pre-filtration is recommended using sediment cartridges with two-step or three-step filtration, depending on the source water. 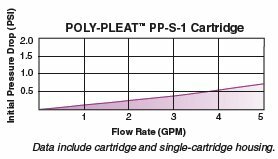 Poly-Pleat™ cartridges provide a long filter life due to their pleated design and increased surface area. In addition, the initial pressure drop using Poly-Pleat™ cartridges is exceptionally low due to this efficient design. 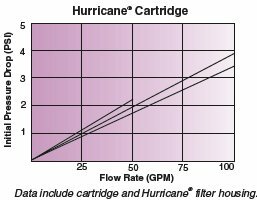 Poly-Pleat™ cartridges are available in Standard, Big-Blue and Hurricane models for a wide assortment of filter housings. Micron ratings: One micron absolute for cryptosporidium and giardia cysts. Flow rates: Up to .5 gpm / ft2 media. Netting: Polypropylene netting standard for 2-3/4" O.D. ; Big-Blue cartridges use polyethylene netting. Shrink Wrap: Standard for all Poly-Pleat™ cartridges.